Before reading Lawrence Lessig’s Remix, I already had an interest in—if not very comprehensive knowledge of—copyright law. 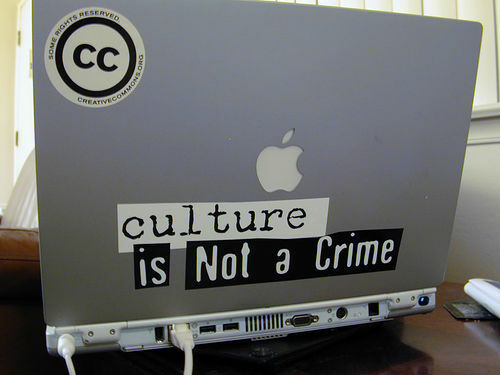 Lessig’s book reminded me of a recent(ish) legal case involving late-Victorian literature that I followed and which prompted me to think about the ways in which ideas of copyright law and remix culture are actually framed in public discourse. Illustration by Sidney Paget for the story “The Greek Interpreter,” which appeared in September 1893 issue of The Strand Magazine. About a year ago, Leslie S. Klinger, leading Sherlock Holmes expert and editor of The New Annotated Sherlock Holmes (a three-volume behemoth that took up quite a bit of my savings—and now quite a bit of my desk) filed a civil complaint against the Arthur Conan Doyle estate regarding the copyright status of the author’s most famous stories. Jennifer Schuessler of the New York Times gave a fairly thorough summary of the proceedings in her 15 February 2013 blog post, but the main gist is that Klinger protested against what he saw as unfair licensing fees for the (“remixed”?) 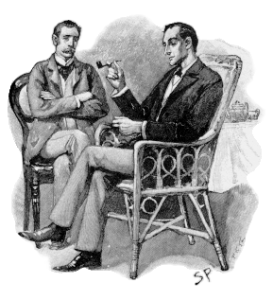 versions of Doyle’s characters featured in “In the Company of Sherlock Holmes,” a collection of Holmesian stories he edited. Klinger argued that “since the main characters and elements of their story derived from materials published before Jan. 1, 1923,” they were no longer under the jurisdiction of U. S. copyright law, and his “complaint asks that the court make a declaratory judgment establishing that the basic ‘Sherlock Holmes story elements’ are in the public domain” (Schuessler). Free-Sherlock.com, not to mention innumerable fan-sites, blogs, and social media outlets followed the case eagerly, the former providing a blow-by-blow of the actions filed, cases reviewed, and results achieved. And, lo and behold, less than a year later (27 January 2014), Klinger—at least temporarily—won his case and Sherlock Holmes officially became part of the public domain. But what does that even mean? In a segment titled “Sherlock’s Expiring Copyright: It’s Public Domain, Dear Watson,” All Things Considered explains that “A federal judge in Chicago recently ruled that the characters in Arthur Conan Doyle’s stories — excluding any elements introduced in the last 10 stories released in the U.S. after 1922 — now reside in the public domain”—even though those ten stories will be available within a decade. Yet, the matter does not rest there: Doyle estate attorney William Zieske claims that a forthcoming appeal will argue “that a character, particularly a literary character, really does not become entirely formed until the author has put down his pen and finished with the last story that develops that character” (All Things Considered). If we are using Lessig’s terminology, it seems we have reached an impasse (at least in opinion) between RW and RO. Yet, I can’t help thinking about the dedicated Holmes fan-base, which has existed since the first stories first appeared in the The Strand Magazine in the 1890s and has only grown in size and enthusiasm over the course of the twentieth century, and in the wake of popular twenty-first century adaptations like the superb BBC modernization, Sherlock. In fact, according to Christopher Redmond’s 2009 A Sherlock Holmes Handbook, “Sherlock Holmes has appeared in more films, and been represented by more actors than any other character” (232)–that is saying something, particularly considering the broad range of interpretations, parodies, and spinoffs that have been created in almost every medium possible. Besides these “official” adaptations, there have also been a broad range of fan-created interpretations that exist largely online (art community and forum deviantART seems to be a major breeding ground). Popular iterations include slash pairing Johnlock, gender-swapped version Femlock (with some crossover to the previous iteration), and the ever-popular turn-human-characters-into-some-sort-of-adorable-animal (Sherlock ponies are a thing). Often, these “remixes” are artistic/aesthetic, but there’s also plenty of fan fiction, video mash-ups, and cosplay that supplement and fuel these offshoots. 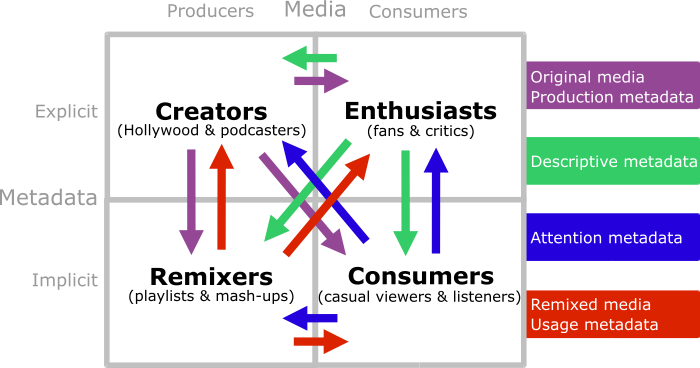 Gregg Gillis’ characterization of what he does with music being “more like a game and less like a product” (15) applies here–it’s probably safe to assume that most people in this particular fandom are simply engaging in these various ways out of love rather than with the desire to “publish” or profit from their “products” outside of sharing it with other fans. The “game” is indeed afoot. What then do we make of this sort of unofficial “remixing,” particularly in the context of the still-raging debates about what use of texts/characters is allowed in legal terms, as well by the unspoken rules of fan-created media? He was completely baffled at my refusal to even consider this option. “How will I make money off of it if I make it available? I want to be a writer for my career, so I’ll need to make money in order to survive. Plus, people will steal my work and make money off of it by publishing it as their own,” I argued vehemently. Charles Dickens, my first Victorian love, was also really concerned about ownership and the property of one’s work. His travelogue American Notes and novel Martin Chuzzlewit both vehemently attack the US for various reasons, but one of them was due to the really lax copyright laws over books which led to all of his being pirated all over the place. 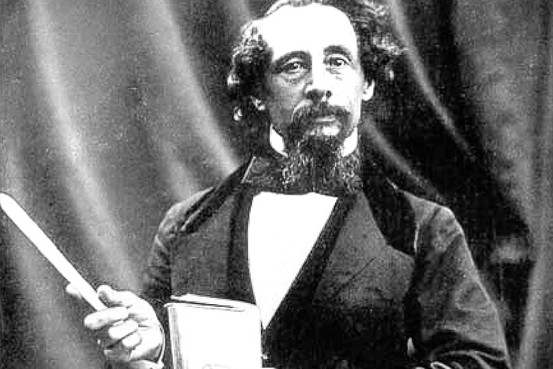 Dickens was concerned both because writing was his way of life and because the pirated editions often twisted things in a way that he wasn’t comfortable (if Dickens loved anything, it was control). 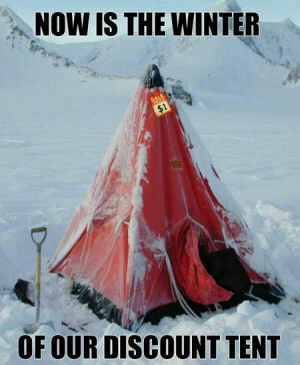 But fast-forward to four years ago. My fantasy novel career ended in high school, when I became a more serious writer (and then got writer’s bloc and couldn’t write worth anything). I was an office staff person in a philosophy department and insanely bored most of the time (excepting certain seasons when I got to advise students or build the course schedule). Due to this boredom coupled with a desire to be helpful, I created a fun blog for non-philosophers about how to understand philosophers. After all, I married a philosopher and worked with philosophers all the time, so why not use my observations to help others? The blog exploded with readers, and suddenly I was beset on all sides with emails (asking ME for advice), angry comments from philosophers who were under the impression that they were special snowflakes, and discussion in the comments sections of each entry. I kept my name off of things, and I tried to make it easy for others to use my blog posts in other things (papers, blog posts, emails; whatever they wanted). That said, my opinion about copyright law has changed dramatically in the past fifteen years. I went from being adamantly for it to slightly-adamantly against it. Lessig discusses this phenomenon in his chapter “Cultures Compared” in Remix. Lessig quotes Victor Stone’s (of ccMixter) comments to him, which I am going to reproduce here: “You know … this discussion will be over in ten or twenty years. As the boomers die out, and they get over themselves by dying, the generation that follows … just doesn’t care about this discussion, and it’s part of the process and that’s it” (97). I just want everyone to use my material and alter my material and add their own material. 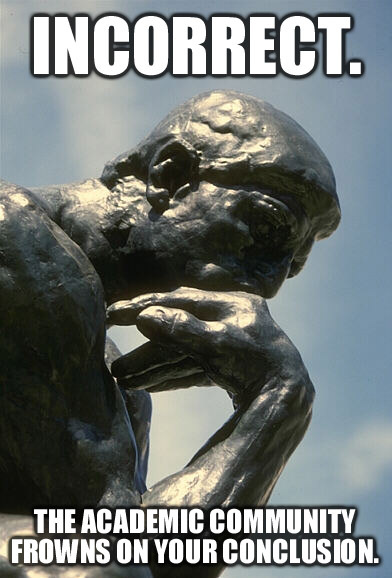 I wonder, though, if I also think this way because I am a liberal-liberal (non-democrat liberal). My value system is such that openness and sharing with others—without expecting payouts—is a really great thing. I have several friends who are still very pro-copyright (and very conservative), so I’m not sure that Lessig is completely correct in that my generation will be cool with less control. I am pretty sure that most of my pro-copyright writing friends* (none of who have actually published anything) are also deluding themselves into believing that they will be able to make a living by writing. Of course, they also won’t be able to make a living by writing because there are people like me who want to constantly undermine the system with my free-words-for-everyone approach. It’s not for everyone, though. I’m not sure it’s even a good system. What do you think? Do you have any good arguments for the copyrighting of writing? P.S. Apologies for anyone who was looking for substantive material in my blog post and stumbled into “Katie’s reflections on her ideology of copyrighting journey.” It happens. *This is excluding Janel. 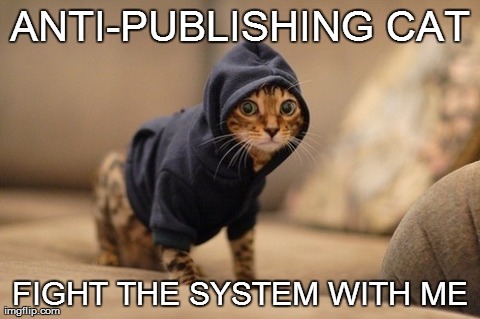 I’m thinking of my college friends who aren’t close to getting anything published for many reasons (vision, for one).